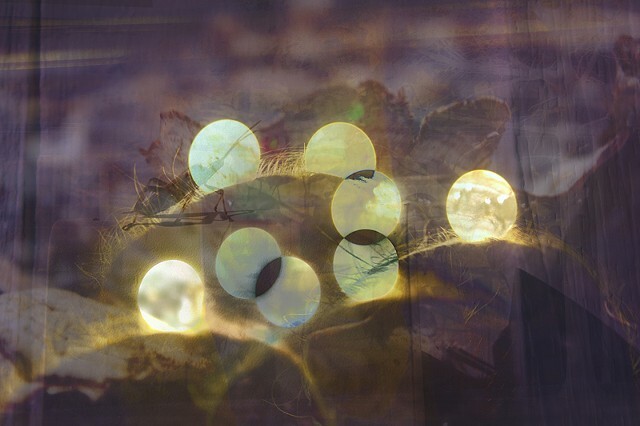 This body of work seeks to explore the effects of digital combination in photography. To this end, I choose to overlay photographs to discover how visual elements of multiple frames coalesce to create a single image. Combination of these elements—line, color, and detail—allows perceived relationships between multiple images to be translated into a single space, within which images interact in the most direct and immediate way. This culminated in this series comprised of complexly layered composite frames of abstracted natural forms.